While the international sailing media has rightly been focusing on offshore sailing for the past few weeks, given the action-packed, once-per-quadrennial Route du Rhum, the RORC's Transatlantic Race and the Golden Globe Race 2018, movement has also been afoot in sailing's grandest event, the America's Cup. Last year, Emirates Team New Zealand won the 35th America's Cup in convincing style and with impressive racecourse results. This win granted the Defender (the Royal New Zealand Yacht Squadron) the right to work with the Challenger of Record (the Circolo Della Vela Sicilia) to create the Protocol that will govern racing for the 36th America's Cup, which will unfurl on the waters off of Auckland, New Zealand, from March 6 to March 21, 2021. As per this Protocol, teams wishing to contest "AC36" had two entry deadlines. 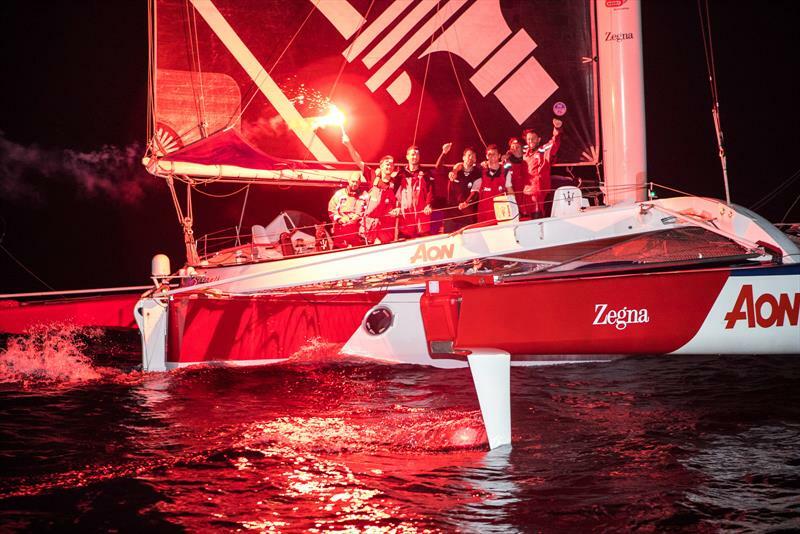 The first, which ran from January 1 to June 30, 2018, saw three challengers — American Magic, Luna Rossa and INEOS Team UK — submit their proper paperwork, while a second "drop deadline" of November 30, 2018 was established to allow straggler teams to get organized and raise the additional $1,000,000 USD in late-entry penalty fees. According to www.americascup.com, AC36's event organizers have received an additional eight late-hour challenges from different international syndicates, however it's important to note that these challenges have not all been accepted. Moreover, of these eight, seven entries are "conditional challenges", meaning that parts of the Protocol would have to be amended in order to accept these challenges. 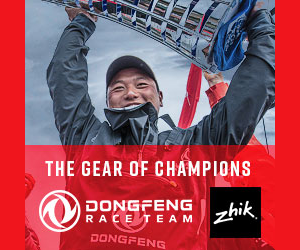 "We are really encouraged by the level of interest that has been shown from around the world by the number of notices of challenge that have been lodged by today's deadline," said Emirates Team New Zealand CEO Grant Dalton, in an interview on the official Cup webpage. "It has been a long time coming, but worthwhile to give potential teams every opportunity to enter what will be a huge global event for New Zealand," continued Dalton. 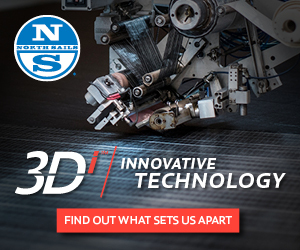 "However, we must remain cautious and not jump to conclusions on the final number of teams. It is only when the acceptance process has been completed that we will know how many will compete in the Prada Cup alongside Luna Rossa, American Magic and INEOS Team UK." "To give some context, an example is where we might have a challenge that is conditional on there being an America's Cup World Series event in that specific challenger's country," continued Dalton. "This, obviously, is something that cannot be determined today and also needs agreement with the Challenger of Record." It's important to note that, while the interest level in Cup racing appears higher than it's been in several Cup cycles (perhaps dating even as far back as the spring of 2007 when AC32 unfurled on the waters off of Valencia, Spain), physics still apply: in this case, berthing space. A total of five challengers can be accommodated on Wynyard Point (read: Challengers row), so it will be interesting to see what teams will actually be in Auckland come March of 2021. Likewise, it will also be interesting to see when teams actually begin sailing their Cup yachts and what pre-Cup regattas actually unfurl, given the emerging reports from New Zealand-based journalist Peter Montgomery that additional design work is needed to ensure that the hydrofoils are strong enough to support the loads that the 75-foot monohulls will be placing on these critical appendages. Meanwhile, in those offshore sailing circles that we previously mentioned, skipper Giovanni Soldini (ITL) and his crew aboard his Multi 70 Maserati took multihull line honors in the RORC Transatlantic Race, besting Peter Cunningham's MOD70 PowerPlay by 46 minutes. "We are happy as it was a very, very nice race," said Soldini in an official RORC press release. "It was very tight and just fantastic to be with PowerPlay in the ocean for so many days; and so close together. It was really exciting for us. We learnt a lot about our boat and also from PowerPlay. In the beginning, they were racing much deeper than us. We studied their strategy and it was really interesting." 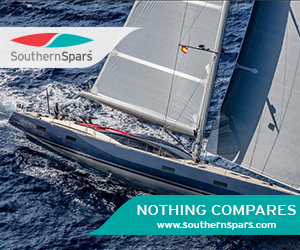 "We shall look forward to the RORC Caribbean 600 in February as there will be three [trimarans] competing against each, and that will be just fantastic," continued Soldini. Finally, in the singlehanded Golden Globe Race 2018, Dutch skipper Mark Slats, sailing aboard his Rustler 36 Ohpen Maverick, rounded Cape Horn on December 2, some eight days astern of race leader Jean-Luc Van Den Heede (FRA), who is also sailing aboard a Rustler 36 called Matmut, albeit one with significant rig damage, which is forcing the 73-year-old offshore veteran to sail far more conservatively than he'd like. As of this writing, Van Den Heede still enjoys a lead of 1,020 miles over Slats, who needs to consistently sail 0.75 knots faster than the race leader to claim top honors in this highly grueling race. And, with 5,659 miles still separating Matmut's bow from the Les Sables d'Olonne finishing line, both skippers will have ample opportunity to ponder their boatspeed and remaining miles as they sail towards France and their first real and consistently level horizon since July 1. 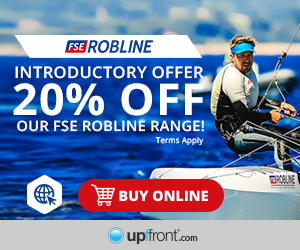 It is the second down-under Foiling Week, foiling is "on trend" with sailing, surfing, sup, kiteboarding and windsurfing. 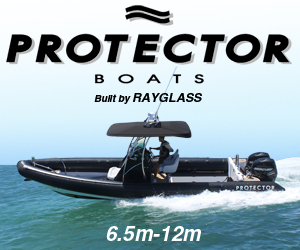 Foiling has added an exciting new dimension to each these water sports. Comanche took out line honours followed by Black Jack 25 minutes later with InfoTrack coming in a close seven minutes behind. Scrub Island Resort, Spa and Marina, a private-island resort in the British Virgin Islands, will host the Scrub Island Invitational during the 48th annual BVI Spring Regatta and Sailing Festival. Auckland Council and the NZ Government will chip in a further $37.5million to complete the infrastructure needed for the holding of the America's Cup in 2021. With eight late Challenges there is only room for the first three accepted by the Defender. Golden Globe Race - Day 155: The race is on! 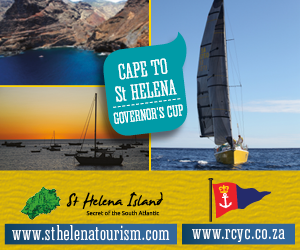 Mark Slats rounded Cape Horn just before 06:00 UTC on Saturday 2nd December, 8 days behind race leader Jean-Luc Van Den Heede, having narrowed the lead by 351 miles over the past 7 days. Several members of World Sailing's Council have complained that their votes at the 2018 Annual Conference were recorded incorrectly. A re-scoring of the vote on a crucial Submission shows that it did not reach the 75% threshold. 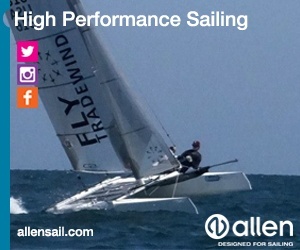 Home Build International Moth Blog 8: Time & effort turns to sailing fun on Valkyrie! It has been a while since my last update. I've just been having too much fun! Kindly Leave the Stage - What Happens to Ex-Olympic Classes? The Carnival is over...but the Show must go on! These comparisons with a circus have never been stronger, all the more now that the Finn has been told to "kindly leave the stage", with the Olympic Regatta at Enoshima bringing an end to 72 years service. Despite light winds allowing only three races on day one and no racing on day two, the J/70 Class was extremely tight in the top five positions, with a different crew winning each race. For the fourth time in their eight-year history of competing in the Extreme Sailing Series™, Swiss team Alinghi took the coveted championship title after a remarkable final in Los Cabos, Mexico. Camper & Nicholsons Port Louis Marina played host to the multihull prize giving for the 2018 RORC Transatlantic Race. Giovanni Soldini's Maserati Multi70 was the winner of the Multihull Line Honours Trophy. The first event of the 2018-19 Miami Winter Series, hosted by Coconut Grove Sailing Club (CGSC) is now in the books with Igor Rytov's Russian Bogatyrs earning a big win. He's known for his collection of shirts. Perhaps even that moustache too. He certainly knows the pointy end from the blunt, as well. This year there will be a new class specifically for boats crewed by two people to offer another fantastic racing opportunity in the crystal-clear waters of the Caribbean. We will be offering courses with reaching starts. 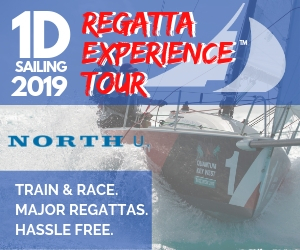 The J/105 fleet is an invitational-only event, as they race with a combined Bermuda and International crew to compete for three awards- Bermuda and International Divisions and the Overall AXA XL International Challenge Cup series. Meet a 10-time competitor in the first of an occasional series on sailors who have joined the Newport Bermuda Race's society for those completing the race at least five times. Auckland's Matt Steven won the 18ft Skiff Worlds and this month was awarded Orbit World Travel Sailor of the Year. Read his insights in our latest speed guide. The J/121 fleet continues to grow and next season, nearly one third of all the boats worldwide will be sailing in the New England area for the summer. The 51st Newport to Bermuda Race provided a true test of seamanship to several modern-day Coast Guard Academy adventurers. By Bob Lally '08, Rear Adm. W. F. Merlin '56, Lt. Cmdr. J.J. Shock '06, and Capt. Chris Sinnett '83. Building on the great success of the first new-look event in 2018, organisers are predicting a 50 per cent increase in teams with as many as 12 expected to line-up on the start line in February for the intensive 14-day marathon. Italian sailing website Farevela.net reports that the Challenger of Record is testing the AC75 "Double Mainsail" on a test platform at their base in Cagliari. Today, 1st December 2018 at 06:54:34 UTC, Giovanni Soldini's Italian Multi 70 Maserati was the first to cross the line in Grenada, taking multihull line honours to finish the 5th edition of the RORC Transatlantic Race. Coming out of the 2018 World Sailing Annual General Meeting in Sarasota, Florida, I wanted to take this time to look back on the decisions made, the process that took us to make these decisions. Frankie Dair, James Jennings, Alistair Gifford and Niall Malone, have won the 2018 Musto International Youth Match Racing Regatta, defeating New Zealand's James Wilson 3-1 in a stellar Finals Series. For some teams, this event also marks the end of a very long journey. 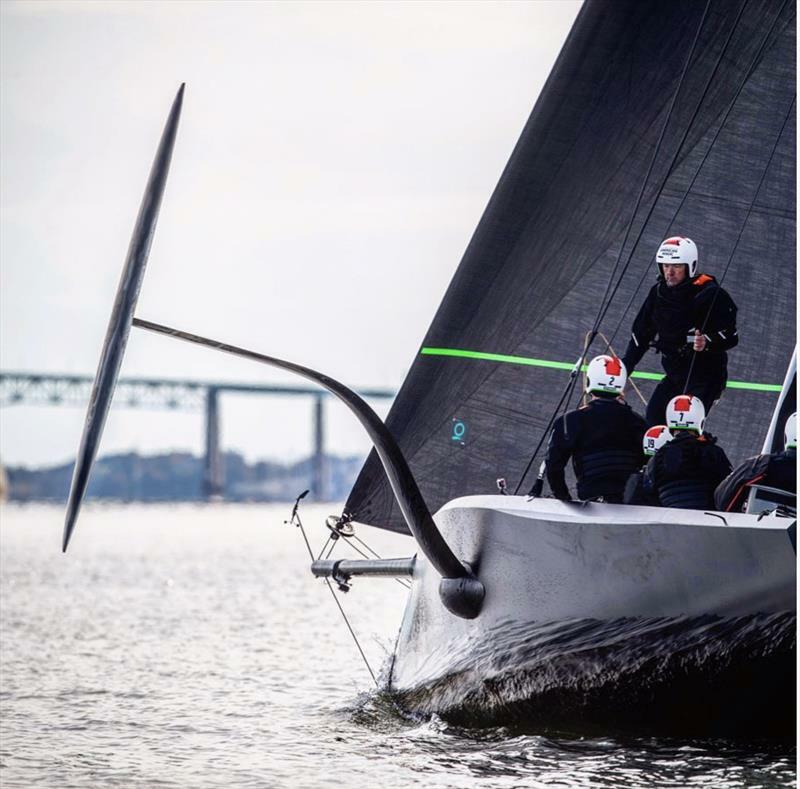 They have campaigned and competed, battled ferociously, vigorously around the globe in pursuit of being crowned the next Melges 20 World League Champion. Jo Aleh: "Struggling to find where your heart sits"
Jo Aleh devoted 12 years of her life to sailing a dinghy day-in, day-out, in her quest for Olympic glory. When she walked away from her boat, exhausted but clutching gold and silver Olympic medals, she tried to find her next big challenge behind a desk. 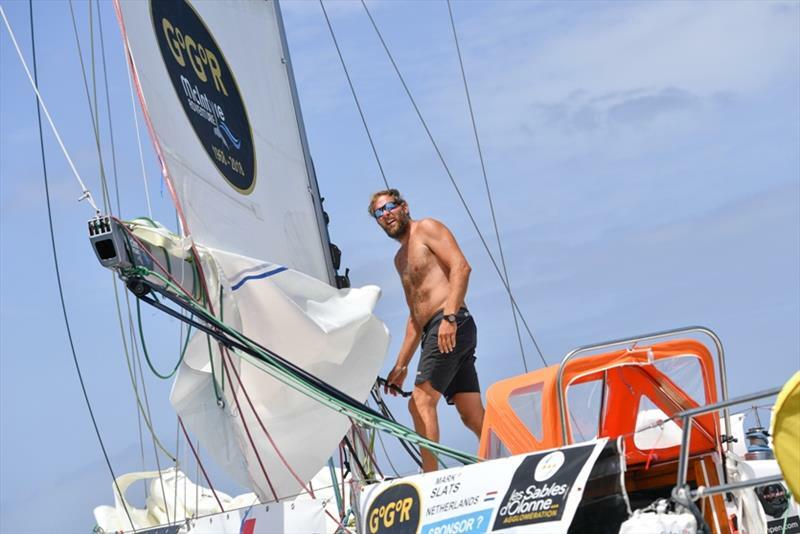 British sailor and native of Jersey, Phil Sharp (37), finished the Route du Rhum -Destination Guadeloupe with a remarkable 3rd place, earning him the outright Class 40 Champion title for the second consecutive year. Gladwell's Line: America's Cup - what happens next? News that there have been a further eight Notices of Challenge for the 36th America's Cup, has left most pundits gobsmacked. 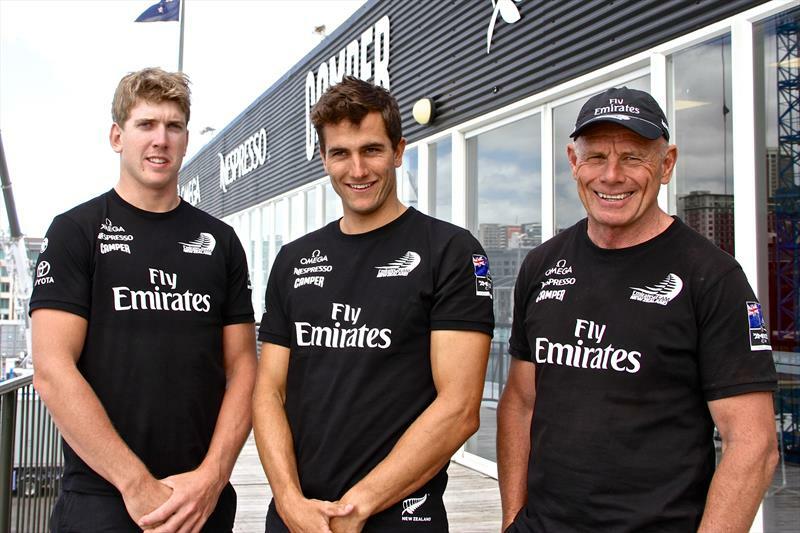 The Royal New Zealand Yacht Squadron and Emirates Team New Zealand can confirm there have been an additional eight Notices of Challenge received by the 5pm (NZT) deadline. Over 200 guests from the America's Cup community from around the world gathered at the Yacht Club de Monaco this evening to celebrate the launch of the Prada Cup – the Challenger Selection Series for the 36th America's Cup presented by Prada. Zhik continues to move a step ahead in the performance dinghy market, with the launch of the new T3 Trapeze Harness exceeding previous levels of quick release safety, performance and comfort. We talked to Wendy Tuck, winner of the Clipper 2017-18 Round the World Yacht Race who is also the first female skipper ever to have won a round the world race of any type. She has also recently been awarded Australian Sailing's Female Sailor of the Year. The world's best Finn sailors have arrived in Australia to contest this year's Sail Sydney (4-7 December 2018) and Sail Melbourne International (13-16 December 2018) regattas and to make the most of what an Australian sailing summer has to offer. The America's Cup is renown as one of the most difficult competitions in international sport to win. Just entering the America's Cup itself is no small feat either. 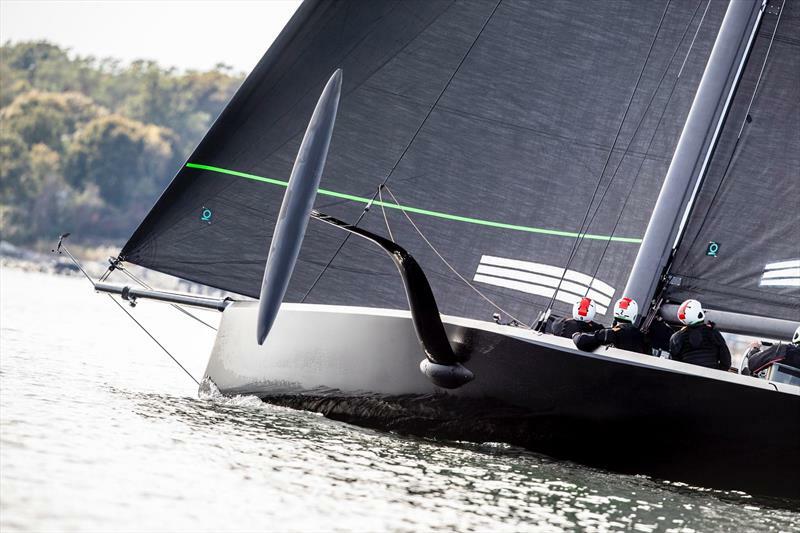 Australia's SailGP Team boat has been revealed for the first time on Wednesday as the crew, led by skipper and Olympic gold medallist Tom Slingsby, tests the revolutionary new F50 off the coast of New Zealand's Northland region. America's Cup: Too much information? The announcement last week that the 36th America's Cup set down for 2020/2021 would be a showcase event for the new 5G mobile protocol has raised a few issues which will need to be resolved between the teams. The Cruising Yacht Club of Australia's 2018 Rolex Sydney Hobart Yacht Race promises to be another pot boiler, with one of the strongest-ever fleets chasing line honours and the overall win to secure the Tattersall Cup. The Royal Bermuda Yacht Club announces that invitations for the 2019 Argo Group Gold Cup were issued today for the match racing regatta scheduled May 6-11, 2019, with a $100,000 prize purse in the offing.